When young mum Elspeth Dickens (Laura Michelle Kelly), mother of naughty twin boys, installs a webcam in her kitchen, her funny sink-songs make her a cybersensation. While her husband James (Ronan Keating) is off saving the world’s whales, Elspeth is offered the chance of a lifetime. But when forced to choose between fame and family, the newly anointed internet goddess almost loses it all. 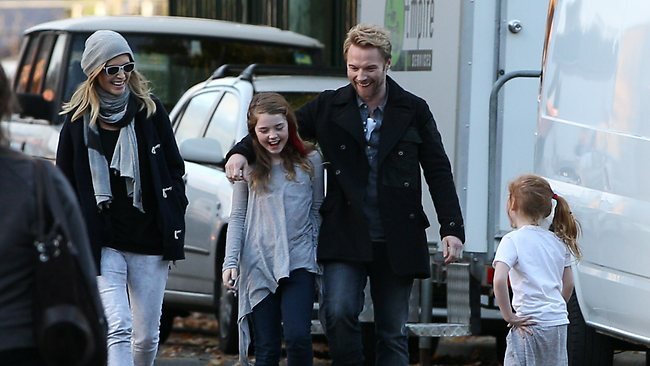 Having patched up his family difficulties, Ronan Keating is looking ahead and knuckling down. The Irish singer returned to Sydney this week with a new album to promote, a first film role to shoot and a second judging stint on The X-Factor to negotiate. Keating confirmed his next 12 months are already mapped into a hectic working schedule that combines his passions for music, film and TV. "It's funny how it all happens at once sometimes and then you might have a year where nothing's going on," Keating told AAP in Sydney. "You kind of make hay while the sun shines and keep going." Keating's first project of 2011 has been recording an album with legendary singer songwriter Burt Bacharach in New York, called When Ronan Met Burt. A covers album of Bacharach's songs, including Arthur's Theme and I'll Never Fall In Love Again, Keating was accompanied by a 40-piece orchestra and session musicians from Michael Jackson's former stable. The collaboration was a dream come true for Keating who has been a fan of Bacharach's music since he was a child. "You wouldn't believe how involved he was," Keating said of 82-year-old Bacharach, who co-produced the album. The former Boyzone star realises a lot of hard work lies ahead, but has already lined up another role to start in September. "Acting is totally different from music," Keating said. "I've been performing on stage singing and dancing since I was 16, but going into a studio and looking someone in the eye and delivering lines, listening to what they have to say and bouncing back is an incredible head space to be in." And what of that other head space - as a judge on X Factor? Keating confirmed he's close to signing on for the second series of the Channel Seven talent show. With three careers stretching in tandem, a few recent words offered by Sir Ian McKellen could be applied to either. "Ian gave me some kind advice about acting, which was walk into the room, look them in the eye and tell them the truth. "When you think about it is exactly what you do." When Ronan Met Burt by Ronan Keating is out now. Featuring a clutch of musical talent, the feature film ‘Goddess’ has just commenced shooting in Sydney. Shooting has just commenced on the Australian musical Goddess at Sydney's Fox Studios. The project's to be directed by Mark Lamprell (co-writer of Babe: Pig in the City and director of My Mother Frank) with actress turned writer, director Judy Morris (co-director of Happy Feet and writer of Fred Schepisi's upcoming Eye of the Storm) here serving as Musical Director. The film's based on a screenplay penned by Lamprell and Joanna Weinberg. Very much in the spirit of feel-good musicals, Lamprell hopes Goddess will find a global audience. "Goddess is a wonderful fairy tale which I hope will resonate with audiences around the world," the director enthuses. The story of Goddess follows a young mum, Elspeth Dickens, who shares mischievous twin boys with husband James Dickens, an international whale conservationist. When the mother of two installs a webcam in her kitchen, her household songs are fed live to the world and she becomes a cyber sensation. However, when the internet goddess has to choose between fame and family, she almost loses it all.. Taking on the lead role of Elspeth is English actress Laura Michelle Kelly, who is best known for her performance as Mary Poppins on Broadway. Playing her husband James is international singer/songwriter Ronan Keating who will put his X-factor duties on hold for a while. Also cast is Magda Szubanski, playing the head of an advertising company in the film. Producer Richard Keddie (Hawke) has high hopes that the star cast will help create a memorable musical that emulates the classics. 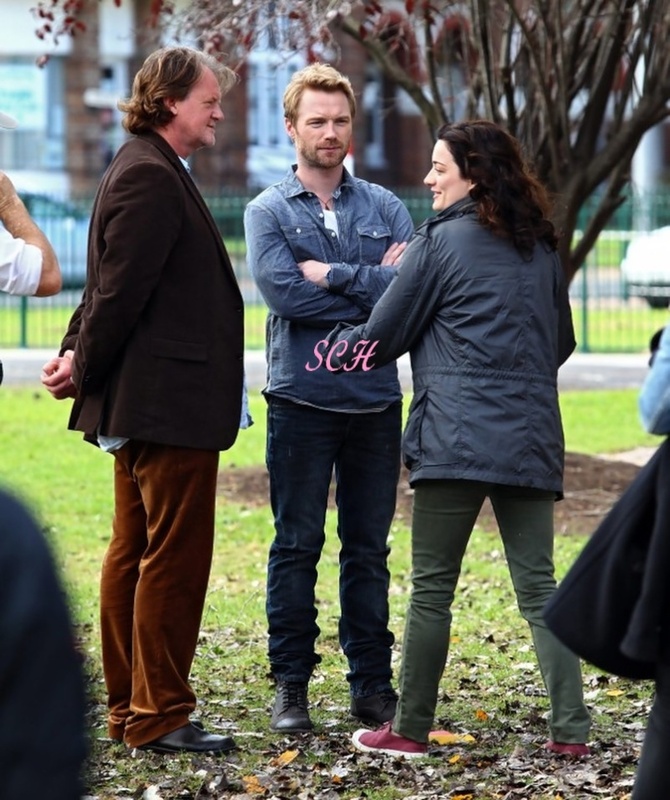 "With the beautiful Laura Michelle Kelly, and the incredible Ronan Keating and Magda Szubanski, we hope to turn our brilliant script into as fine a musical as this country has ever seen. Goddess is scheduled to be released nationally in cinemas in 2012. HE recently called them the greatest priorities in his life and yesterday Ronan Keating was demonstrating that since reconciling with wife Yvonne last year after his confession of an affair with a back-up dancer, he has indeed re-evaluated. His children Jack, 12, Marie, 10, and Ali, 5, and Yvonne joined him on the set of his new film Goddess at Fox Studios yesterday, watching him at work and viewing the daily rushes. "I love my wife and my family is everything to me," he said last week. He further admitted he had to work hard - doing much of his romancing in Sydney last year - to persuade his wife of 12 years to take him back. She had told him: "You have broken our marriage and it is beyond fixing." He is wiser now and says: "I want my kids to know they're loved. That's all we need to teach our kids. "When kids know they're loved, they take on life differently." OMG! There so many great pix!!! Thank you for posting! I absolutely love the family photos. Still, I'll never understand why the paps need to put hundreds online - surely four or five would be enough. Apparently not. I'll never understand that either - and the ones of the kids on their own are just wrong! Lovely pics,but not the writing,why have they always to say and remember the same things? is anyone registered at APA picture desk? When you search Ronan Keating, on the top of the screen on the left , seperately from the rest of the pictures, there is a little thumbnail of Ronan an the description says that the link of the thumbnail redirects to pictures from the set of Godess I think(from the 28th of April, do they will be different from the ones on brunopress), but when i click on the link to take me to the rest of the pictures, many 'empty' thumbnails appear with a message on them, probably saying that I have to register to see them? It's all in German I think and I don't get it :?